The City of Cuyahoga Falls is now soliciting qualifications from design firms interested in providing Architectural and Engineering Design Services for the Cuyahoga Falls Law Enforcement Training Center. Copies of the qualification specifications are available from the Office of the City Engineer, 2310 2nd Street, Cuyahoga Falls, Ohio, 44221. Vendors may call Tony V. Demasi, City Engineer, at (330) 971-8180 to request a copy of the RFQ by U.S. mail, e-mail or fax. Completed qualification packages must be submitted to the Cuyahoga Falls City Engineer, 2310 2nd Street, Cuyahoga Falls, Ohio 44221, no later than 1:00 p.m. , on February 9, 2018. The mission of the Cuyahoga Falls Police Department is to provide the highest level of service to the public. To instill a sense of security and confidence in the public we serve. To protect the rights of the individual, as well as the rights of the public at large. To be fair and just in the enforcement of the law. To not just serve the community, but be a part of the community. These acts will be accomplished while maintaining a professional attitude and by treating all stakeholders of the community with the respect and dignity they deserve. Call 9-1-1 immediately in the case of an emergency requiring police assistance. Emergency response teams are ready to assist you 24 hours a day, seven days a week. All non-emergency calls may be directed to the police department's around-the-clock dispatch team at (330) 928-2181. Otherwise, please direct your calls to the police department's standard office contacts as listed in CFPD Operations and CFPD Special Operations. They are available from 8:00 a.m. - 5 p.m., Monday through Friday. The Police Chief reports annually to the Mayor with performance details on the years events. Please peruse these reports to learn more about how our first responders make a difference in the lives of Cuyahoga Falls residents. Mayor Don Walters, along with Police Chief Jack Davis and Fire Chief Paul Moledor, in partnership with MedicAlert Foundation and the Alzheimer’s Association Greater East Ohio Chapter, announced a free program aimed to protect Cuyahoga Falls residents with dementia and autism who are at-risk for wandering emergencies. The City of Cuyahoga Falls is the first in the State of Ohio to provide MedicAlert to its residents. 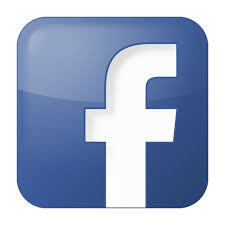 Follow the City of Cuyahoga Falls OH Police Department on Facebook!